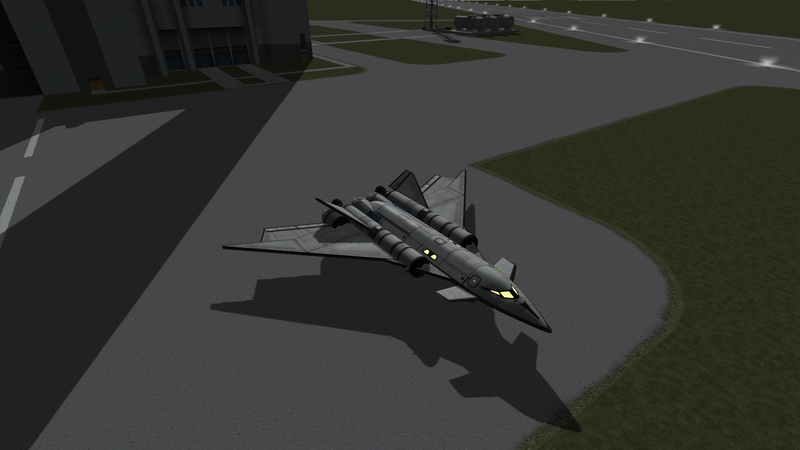 Early stock ssto with basic engines. Parts are stock with revamped parts for looks. Includes fuel lines for the center tank, you could remove the fuel lines and manually transfer fuel from the center tanks for even more basic career start. No payload, but you could do science with it. Flight profile is simple as basic jets have no thrust at higher altitudes: From liftoff point the nose to 40 degrees, do not change it. Look untill AP is about 3 seconds away, toggle off the jets (1) and toggle the rockets (2). Keep going up at 45 degrees untill AP is at 50,000 and burn 0 degrees (horizontal) untill AP hits 75,000. At this stage you will have enough time to add a node to circularize and transfer fuel from main tank if not using fuel lines. You will have 100dV to 200dV left in the tanks.